Discuss the many different surfacing styles and techniques. 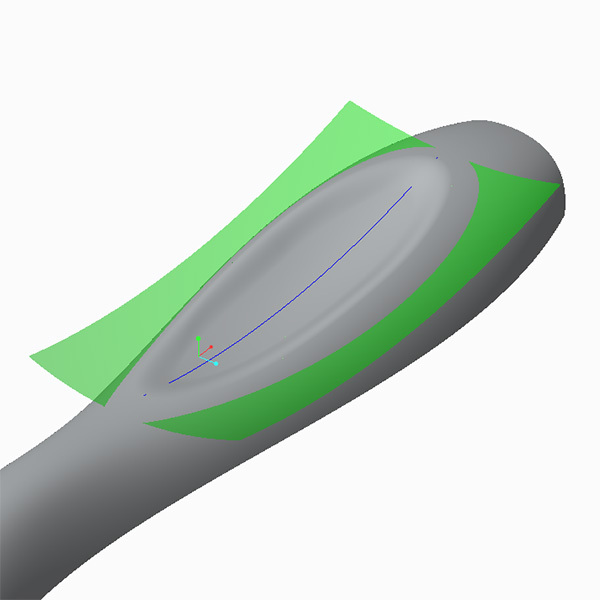 Learn to create and modify Conics, Splines, Datum Curves, and Datum Points. Design Engine Learn Creo Surfacing Workshop. Many people think they are exempt from this course prerequisite, however it the two day class above is essential. This class is not an introductory class. Learn to use Conics and the strength they have over Splines. Overview and discuss what you didn’t learn in your PTC or re-seller or certified surface modeling workshop. Learn to utilize Creo Surface curves and surfaces to affect solid geometry. Learn every aspect of the Sweep tool (was Variable Section Sweep). Learn every aspect to the Swept Blend Tool with examples. Build more robust curves and surfaces. Eliminate isoparms (what PTC calls Knots or Isolines). Learn about striation or flow of surface and discover tools inside Pro/Surface for manipulating striations. Learn the inherent issues and problems with 3 part boundaries. Use Pro Surface as if using ISDX or Alias Studio tools. 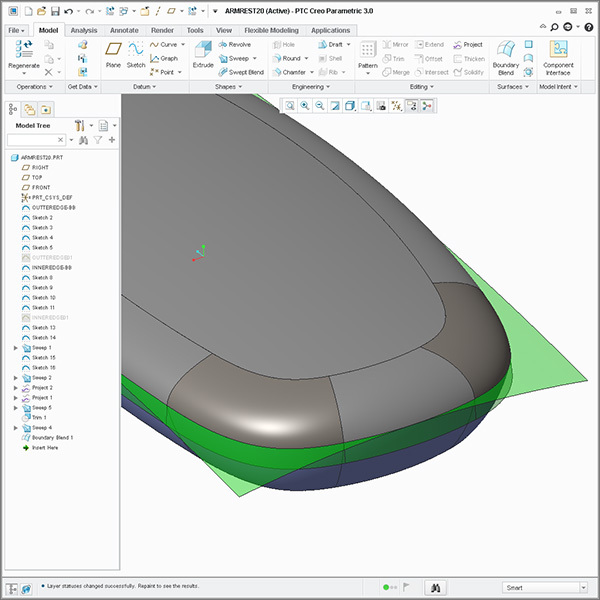 Compare and discuss other surface modeling software to Creo Surfacing. Discuss clam shell plastic part design as related to swept surfaces. Also discuss styling grooves with examples. Discuss the proper techniques of surface modeling and the ability for others to understand the approach. Discuss modifying other designers surface models. Discuss in detail what industrial designers studied in college and how as a product engineer you can work more efficiently within the design arena. This Creo surface modeling training course is developed for more advanced surfacing modelers who want to become experts at Creo Surfacing or and learn to drive geometry using equations. We help you become expert surface modelers with this course. We do not read to you from an exercise or a book. In this course we help design engineers and industrial designers learn how to make changes quickly to set them up for becoming expert faster. As with all Design-Engine classes, participants keep the training material login and password for life.